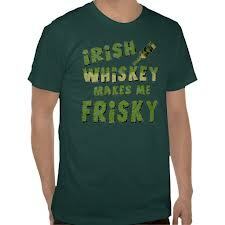 Research shows that spirits such as Irish whiskey have become more popular on the traditionally beer-driven holiday. While beer may seem like the go-to alcoholic beverage for the American celebration of St. Patrick’s Day, spirits account for a greater percentage of sales during the holiday. When comparing overall alcohol sales in the first quarter of 2012 to those on St. Patrick’s Day alone, research firm GuestMetrics, which analyzes point-of-sale data, found that the spirits accounted for 45.2 percent of alcohol sales in the first quarter and 49 percent on St. Patrick’s Day. For those same periods, beer accounted for 34 percent of alcohol sales on St. Patrick’s Day and 28.1 percent during the first quarter. GuestMetrics pointed out that the increased portion of alcohol sales for spirits and beer came at the expense of wine, which for the first quarter of 2012 accounts for 26.7 percent of alcohol sales, but on St. Patrick’s Day accounts for 17 percent of alcohol sales. In 2012, Irish whiskey was the fastest-growing spirit category, according to the Industry Review released earlier this year by the Distilled Spirits Council of United States (DISCUS).